With the favorite Flavors Gift Tray, you can fill a house with the aroma of English muffins fresh from the toaster. Inside a beautiful wooden serving tray are included only the most popular English muffin flavors, along with delicious fruit preserves. 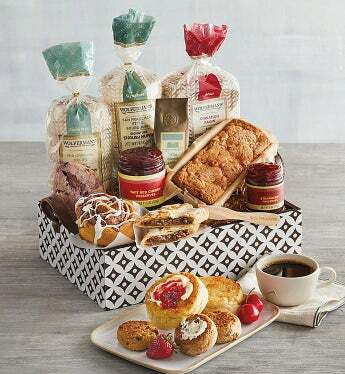 Decadent pastries and robust Tiffin coffee complete this specialty food gift. The flavors are sure to be a hit, and everyone will find their own favorites.